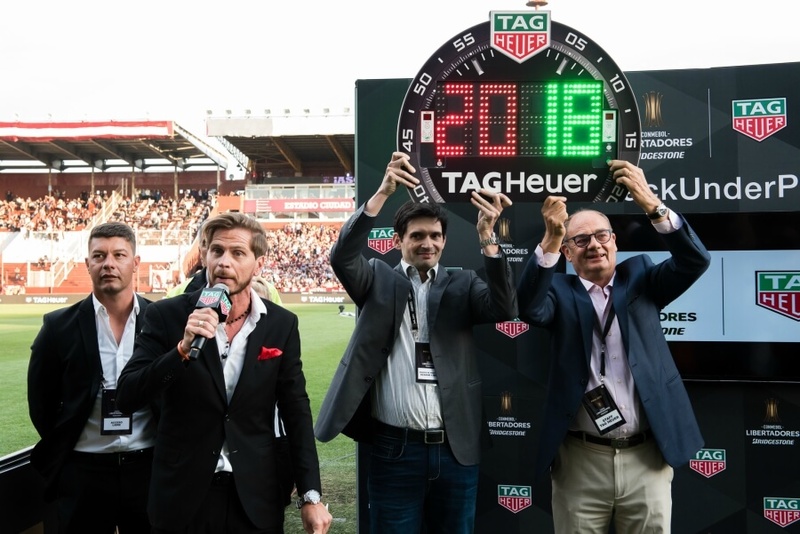 Buenos Aires, 30th November 2017 – Swiss luxury watch brand TAG Heuer announced that it has become the Official Timekeeper and Official Watch of the prestigious CONMEBOL Libertadores, for the upcoming 2018 and 2019 seasons. 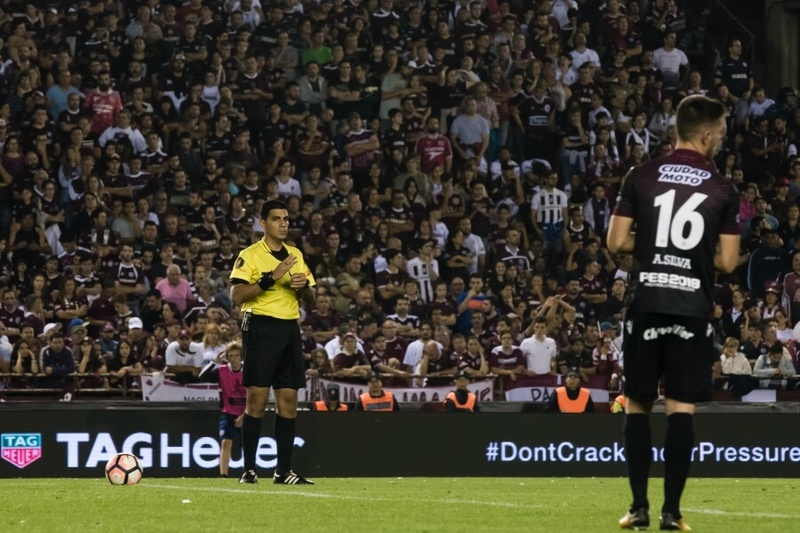 The announcement took place during the second leg of the 2017 Copa Libertadores’ final between Brazil’s Gremio and Argentina’s Lanús at their stadium in Argentina. 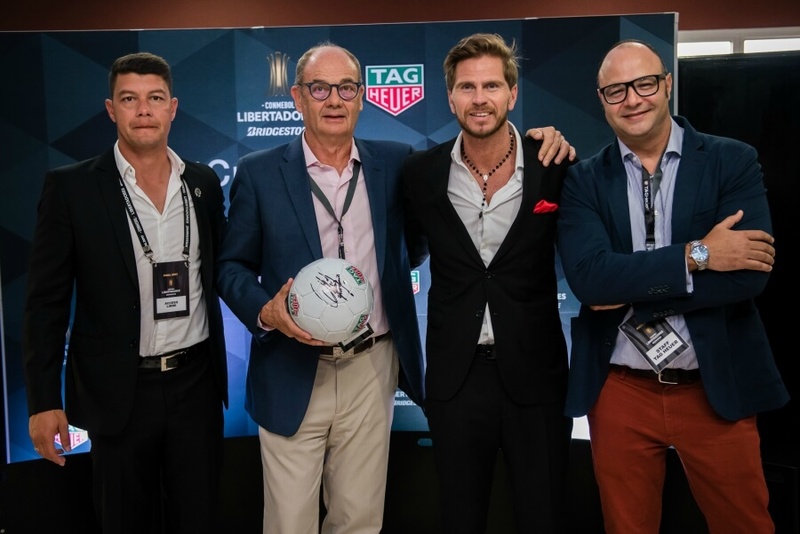 The legends Sebastián Battaglia participated to the ceremony hosted by Christian Weissbach, TAG Heuer Caribbean and Latin America President, Marcos Senna, CONMEBOL Commercial Director and Argentinian sport anchor Sebastián Vignolo. With this appointment, TAG Heuer becomes the Official Timekeeper and Official Watch for all the matches organised by the CONMEBOL Copa Libertadores competition, starting January 2018. As part of the partnership, the CONMEBOL professional referees will be equipped with TAG Heuer Connected watches sporting a special referee application to support them in tracking time during the game. 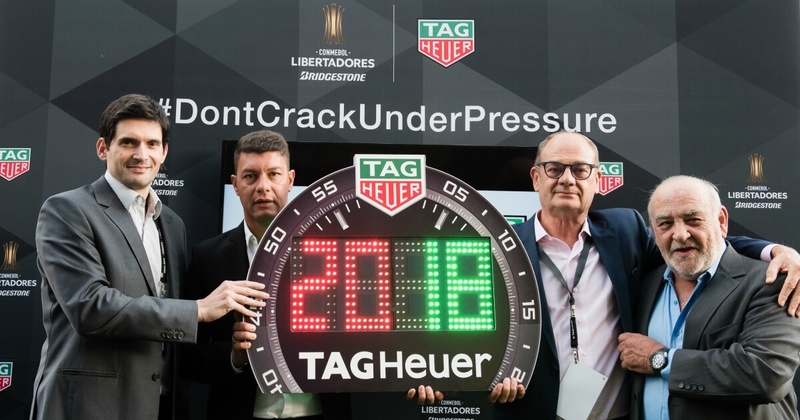 Alejandro Dominguez, President of CONMEBOL to add: “TAG Heuer has an established heritage in sports, with both a track record of excellence and an attitude that constantly seeks to conquer new challenges. We are delighted to announce this partnership for the CONMEBOL Libertadores, a club competition that has inspired South America for decades with values like teamwork, self-belief, and a fighting spirit. Moreover, TAG Heuer’s commitment to accuracy, consistency and technical innovation are values that CONMEBOL seeks to promote in refereeing of all its competitions. Following the announcement, an exciting final between Gremio, two-time CONMEBOL Libertadores champions from Brazil, and Lanús, final debutants from Argentina, resulted in a 2-1 victory of Grêmio who will represent South America at the FIFA Club World Cup UAE 2017. TAG Heuer hosted its ICON challenge in front of the hospitality suite so fans could experience the same #DontCrackUnderPressure moments as their favorite team.